Egy olyan TCL alapú kis linux, ami lehetővé teszi, hogy más linux disztrók netes telepítőjét letöltsük és futtassuk. Some of the distributions supported by NetbootCD are prerelease distributions (such as Debian testing) or development/rolling-release distributions (openSUSE Tumbleweed, Fedora Rawhide, Debian sid.) 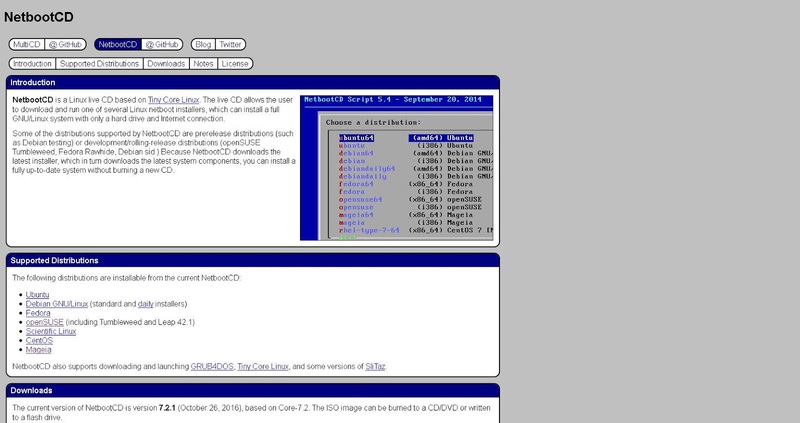 Because NetbootCD downloads the latest installer, which in turn downloads the latest system components, you can install a fully up-to-date system without burning a new CD.